Viking Books for Young Readers, 9780670785360, 80pp. Headline-making natural disasters with devastating consequences for millions of people. But what do we actually know about these literally earth-shaking events? New York Times bestselling author, explorer, journalist, and geologist Simon Winchester—who’s been shaken by earthquakes in New Zealand, skied through Greenland to help prove the theory of plate tectonics, and even charred the soles of his boots climbing a volcano—looks at the science, technology, and societal impact of these inter-connected natural phenomena. A master nonfiction storyteller, Winchester digs deep into the powerful natural forces that shape the earth, exploring the how and why of world-changing events from the 19th-century’s infamous volcanic eruption at Krakatoa and the earthquake that flattened San Francisco, to the 21st-century tsunamis that devastated Indonesia and Japan. 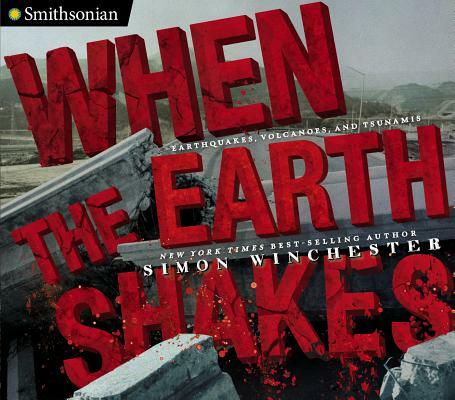 It’s a gripping story about what happens when our seemingly unmovable planet shakes, explodes, and floods—all richly illustrated with fascinating historical and stunning contemporary photographs. Simon Winchester is the New York Times bestselling author of The Professor and the Madman. His recent titles include Atlantic and The Men Who United the States. Winchester was awarded an Order of the British Empire (OBE) for his services to journalism and literature.